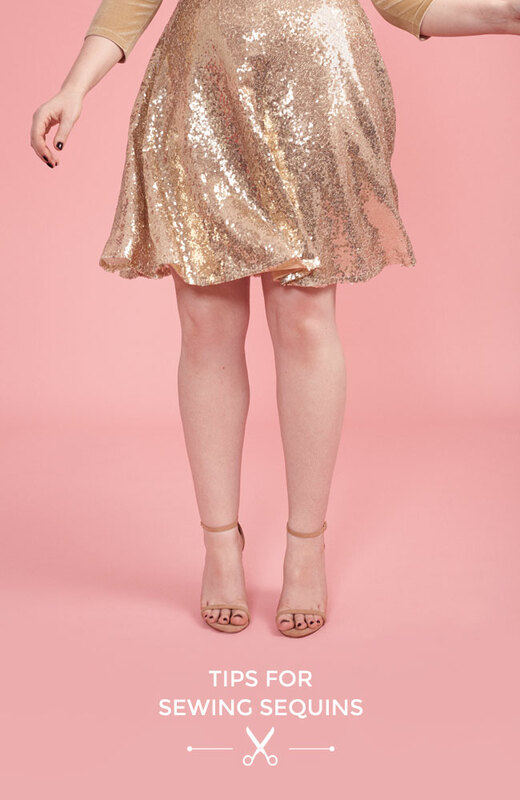 It’s easiest to cut sequin fabric on a single layer, so trace any pattern pieces that say 'place on fold' (such as the Joni pattern skirt) as a double piece. 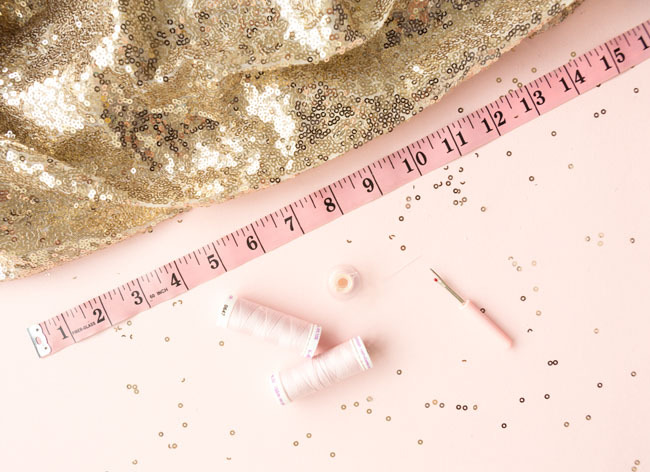 Check if the sequins are running in one direction – if they are, lay out all the pieces so the sequins are running down the fabric. 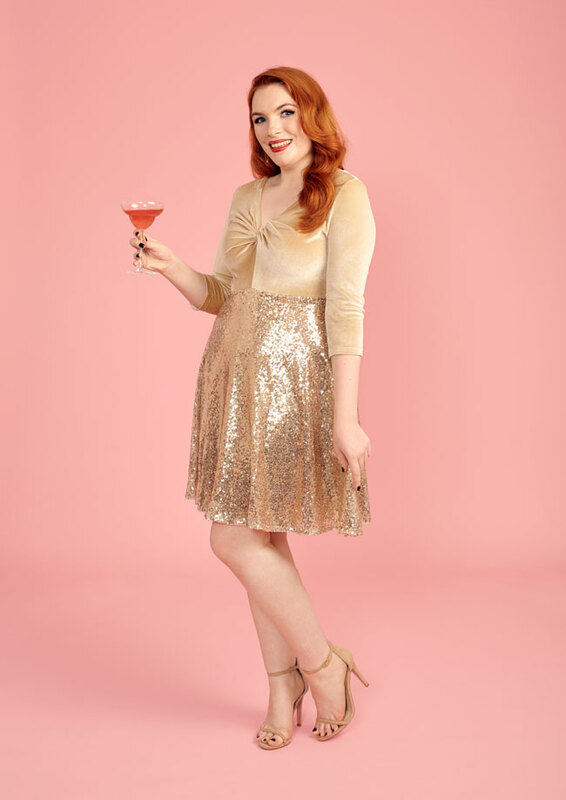 Line up the grainline arrow with the first line of sequins at the edge of the fabric. Hold the pieces in place with pattern weights. 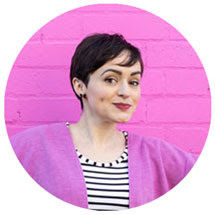 Use scissors that you don’t mind blunting – I use paper scissors. Watch out for flying sequins as you cut! It’s a good idea to wear glasses or goggles for this bit. 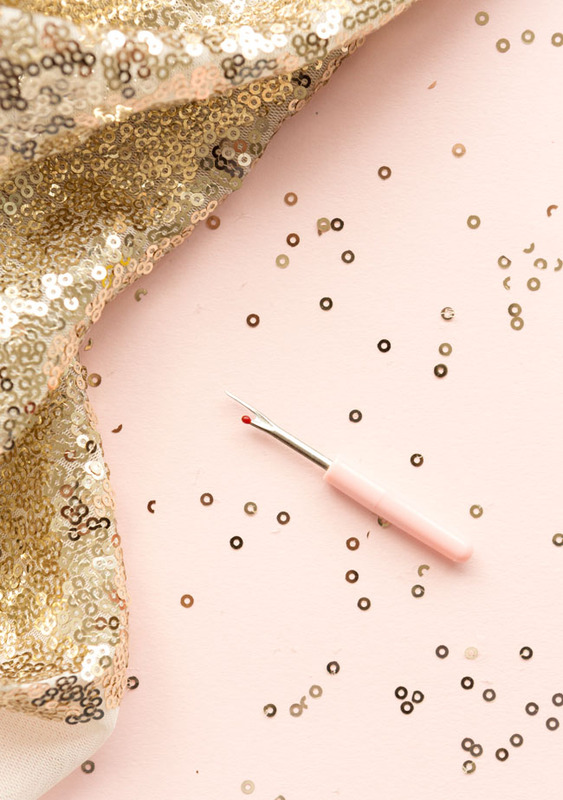 Put on your favourite music, and invest in some time unpicking or snipping sequins from the seam allowances, using either a seam ripper or small scissors. This will give you a smoother seam, it will make the seams less bulky and scratchy on your skin, and can help avoid broken needles. To save time, you could trim down the seam allowances by 5mm (¼in) so you only have 10mm (3⁄8in) seam allowances to unpick. If you do this, just remember to sew the seams with a 10mm (3⁄8in) seam allowance later on. If the sequins are sewn on in strings, rather than individually, and you’re worried about them falling off, you can hand-knot the loose threads together. 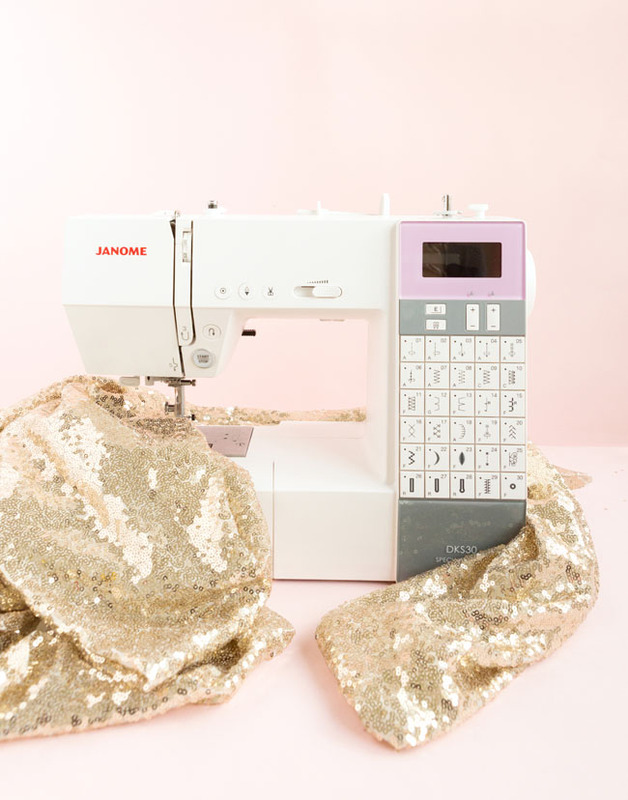 Snips may not be visible amongst all that glitz – so, if you need to add notches, mark them with tailor’s tacks or a washable pen on the mesh side of the fabric. If your sequin fabric has a knit base, sew them with a regular sewing machine, not an overlocker (serger). Try a 70/11 ballpoint or stretch needle, and have a back up or two in case it breaks! Again, it’s a good idea to protect your eyes with glasses or goggles in case this happens. Hem the garment by machine with a 3 x 3mm zigzag, or by hand using a catch stitch. Sequins can melt, so finger-press the seams open rather than ironing them. 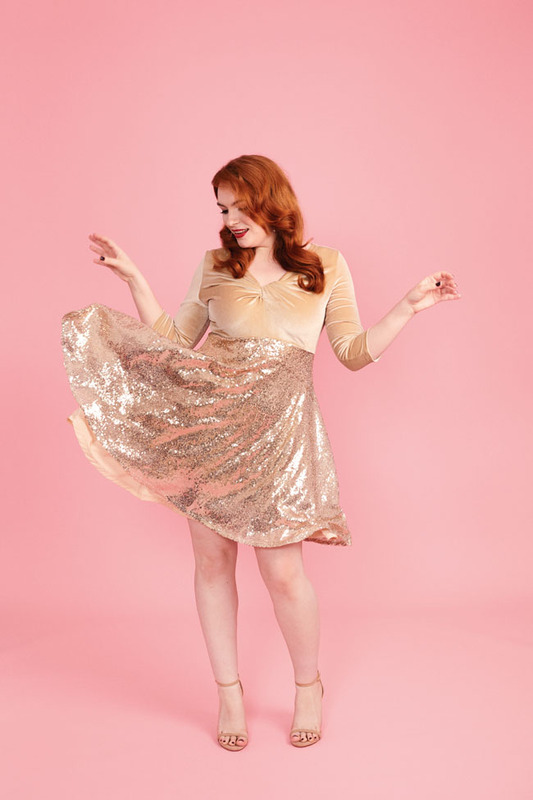 If the seam allowances look a bit sparse where you’ve removed the sequins, you could cut some sequins from any leftover fabric and hand sew them into the gaps – if you have the patience! Dry clean or hand wash your finished dress with mild detergent. This is an extract from my book Stretch! 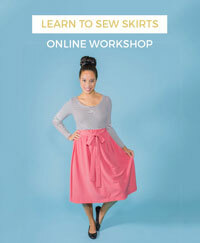 Make Yourself Comfortable Sewing with Knit Fabrics, which includes loads more tips for using overlockers, as well as patterns and fabric tips for sewing clothes with stretch knit fabrics.